What’s New in NeoLoad 6? Do the entire test cycle – from test design through analysis and reporting – faster. 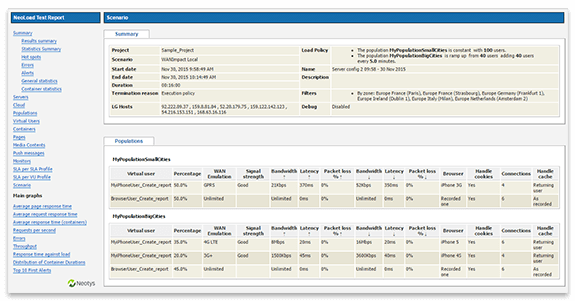 Monitor tests in real-time when executed from a Continuous Integration (CI) server (e.g. Jenkins) and compare with baseline results. 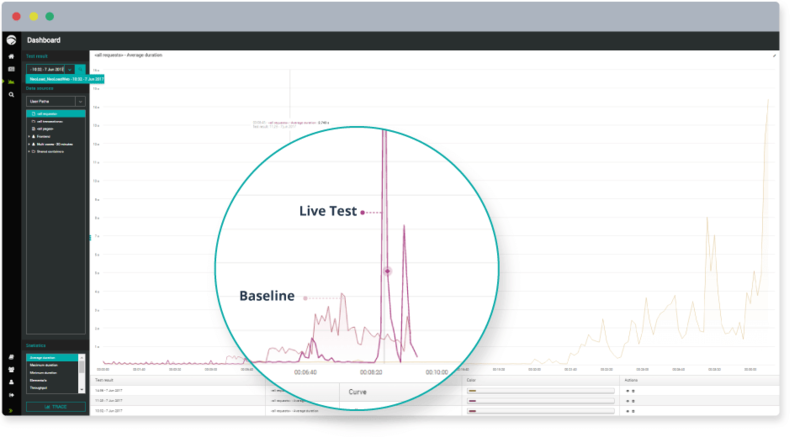 Detect performance problems in real-time during tests, without waiting for the results before taking corrective action to address any issues. Share test results easily using a web-based SaaS interface, to stakeholders who would like to participate in (or just consume) the analysis, but who are not performance testing specialists. NeoLoad 6.0 is now available. Like all previous releases of NeoLoad, this newest release highlights our commitment to, and progress towards, giving you the fastest, most automated performance testing and monitoring tools for Agile and DevOps testing environments. New Web-based SaaS interface can easily display and share charts and tables with anyone involved in performance test execution or analysis (testers, developers, QA Managers, business stakeholders/ product owners) who need to use and share test results. All NeoLoad users have a free plan provisioned to use the new NeoLoad Web module as SaaS. So try it right now! Read the documentation to get started. More-accurate diagnosis and faster reaction time when a test detects a performance issue; no need to wait for the end of a test to react and fix the problem. • Statistics can be shown for each element delivered (e.g. min/max/average) for each individual element by request/ transaction/page, and monitoring counters (e.g. CPU). Access all APIs without having to open the NeoLoad controller, and integrate smoothly in the Continuous Integration tool chain.